Edgar Garcia, a computer engineer from Mexico City, Mexico, was diagnosed with type 2 diabetes in 2006. 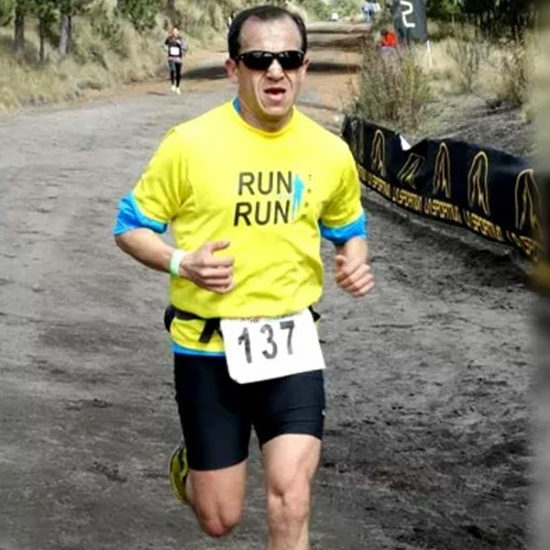 Since accepting diabetes and lifestyle changes, he became dedicated to sharing the importance of exercise, especially for people living with diabetes. Edgar enjoys helping people accept their diabetes and live well. In November 2018, Edgar joined the International Diabetes Federation (IDF) Blue Circle Voices (BCV) network. BCV represents the interests of people living with diabetes through consultations, and advocacy activities. Adults living with all types of diabetes from all regions help strengthen IDF’s presence through national efforts aimed at improving prevention, care and management. In the interview below, Edgar discusses his diagnosis and his personal mission: never allowing diabetes to defeat his health and zest for life. What was your first thought when you were diagnosed with diabetes? Was accepting diabetes hard? For a few moments, my mind went blank, and I did not think about anything. Then I reacted and when I heard the doctor explain the pros and cons of taking or not taking care of myself, I decided to change my habits for healthier ones. I wasn’t going to be defeated by diabetes. 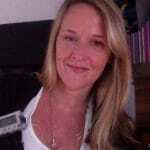 I accepted diabetes – the diagnosis – but not the prognosis! Had you heard of diabetes before your diagnosis? Diabetes exists in my family. My maternal grandmother and paternal grandfather lived for some years with diabetes. When I was diagnosed, I made it clear to my family that I wanted to take care of myself. What is the biggest challenge living with diabetes? Diabetes represents a challenge, whether it be for financial reasons (medical appointments, test strips and lancets for my glucometer, and more) or changing lifestyle habits, like eating a healthy diet. Thanks to being well informed and making progress little by little, I achieved stability. I am very persistent. I do not give up because I am competitive. Thanks to diabetes I became a marathon runner — I have run 12 marathons since I was diagnosed. I also do trail running. Soon I discovered that I can talk to others to motivate them to take care of themselves, too. Diabetes brought out the writer in me! Writing about diabetes has had a positive impact. Every two months I write for Diabetes Hoy, the magazine of the Mexican Diabetes Federation (FMD). What do you think is the main problem in the field of diabetes in your country? The economy is a problem. There are still many people with diabetes without access to health services, including all the supplies required to manage diabetes. The second problem is education. There is a lot of ignorance and many myths about diabetes. Why did you decide to join the BCV network? Because I can positively influence others through communication whether spoken or written. I represent diabetes through my example of not giving up. It’s important to let people know that accepting diabetes can lead to a better life. Thank you Edgar for sharing your experience with Diabetes Voice! Click here for more information about IDF’s Blue Circle Voices.